I am a proud DFT blogger. To learn about DFT, read this link. To view more DFT recipes, Click here! Team DFT created magic this week. 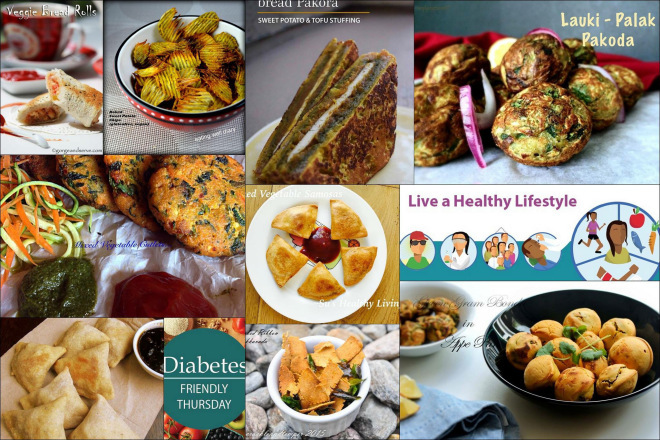 “Unfrying the Fried Snacks” was the challenge and it has been well received ! 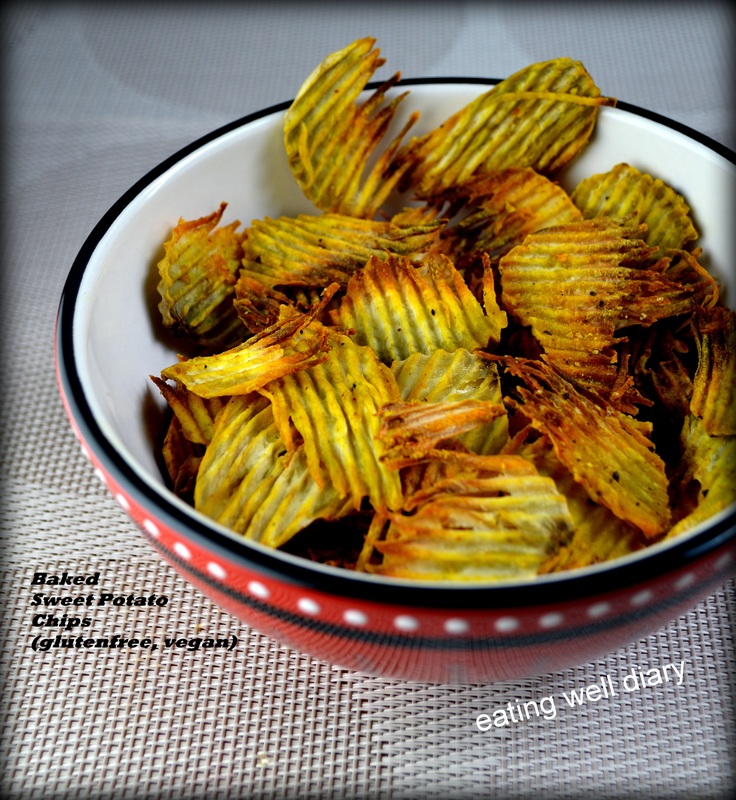 I’m bringing my “sweet potato chips” for this challenge. Crunchy, crisp chips are a welcome snack at any time, aren’t they? 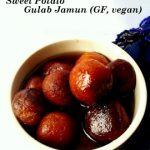 Give it a healthy touch by baking them instead of deep frying and make them completely guilt-free! Sweet potatoes are a good choice for diabetics as they are much lower in glycemic index than potatoes. This means that they have less of an immediate impact on sugar levels after they are consumed. A medium sweet potato has 26 grams of carbohydrates, of which 3.8 grams are dietary fiber. Fiber, which is part of the total carbohydrate content, can be subtracted from the total grams of carbohydrates to have a better idea of the blood sugar-rising potential of a food. In the case of a baked sweet potatoes, subtract the 3.8 grams of fiber from the 26 grams of carbohydrates to determine that they contain only 22.2 grams of available carbs per serving. 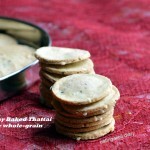 (Source: SFGate ) The whole snack made with this recipe contains about 45 grams of carbohydrate. I used my Oxo Mandoline Slicer which is very efficient for making thin slices. Paprika or red chilly powder- 1 tsp. organic canola oil or melted coconut oil- 2 tsp. 1. Peel sweet potatoes and use a mandoline slicer to make thin slices. 2. Pre-heat oven to 350 °F. 3. Add spices in a mixing bowl along with oil. Toss the sliced sweet potato with the spice mixture. 4. Spread them out in a single layer on a parchment paper-lined baking sheet (I use aluminum). Bake for 40 minutes. Rotate tray and bake for 30 more minutes. 5. At this point, check for crispness of the chips. Remove those that are baked fully and leave the rest in the oven (turned off) for another 10 minutes or so till desired crispness is achieved. 6. Enjoy immediately or store in an airtight box. 1. Baking time will be much less if nonstick tray is used. Take care not to burn them! 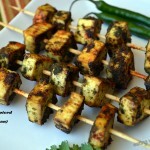 Sharing this at the Plant Based Potluck Party#53 at UrbanNaturale.com. Thank you, Sonal. So glad it was well liked by everyone. 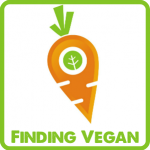 Pingback: WHOLE WHEAT MOONG DAAL SAMOSA| Whole wheat baked mung bean pastry | LET'S COOK HEALTHY TONIGHT! How delectable! 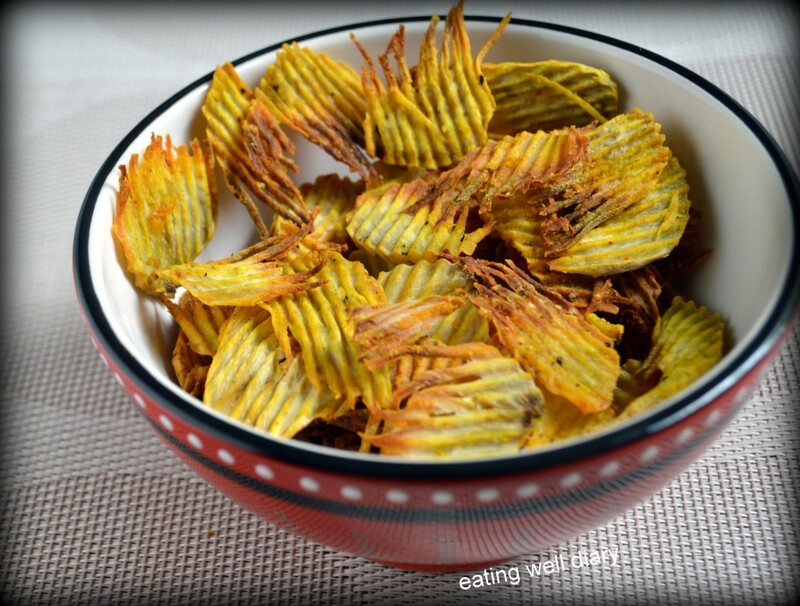 I adore the crunchy texture and spicy/sweet flavor of these baked chips so I am delighted that you shared your healthy and delicious Baked Sweet Potato Chips with us on the Plant-Based Potluck Party Link Up. I appreciate it and I can’t wait to try your recipe. I’m pinning and sharing. Thank you for the opportunity to share at your potluck, Deborah. Such an easy and healthy recipe! 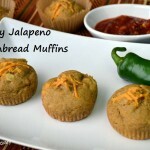 A great alternate to the fried potato or sweet potato chips! These potato chips look gorgeous! And tasty too. 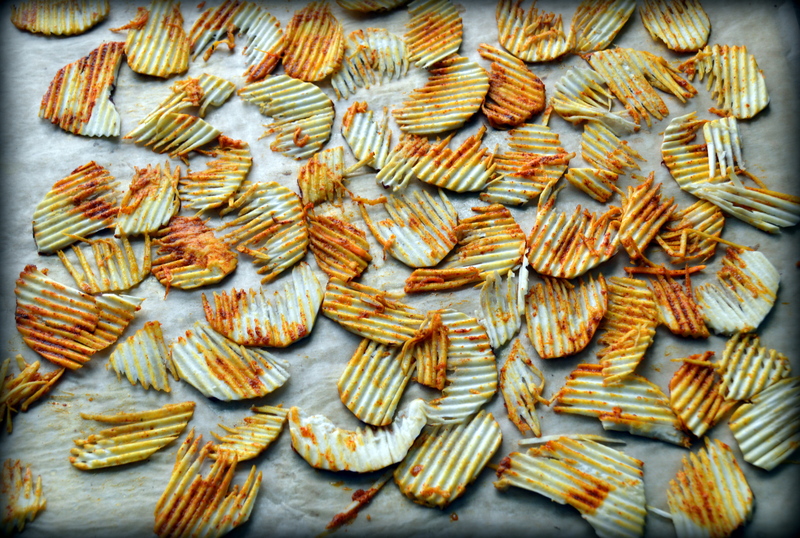 I’ve never seen homemade potato chips with the ridges in them. I really have to get myself a mandolin slicer! For serious. Thank you, Michaell! Yes, I highly recommend a good mandoline slicer.